One of my oldest friends came to town this weekend. She was my first guest in my new apartment, and I was so excited to have her. I planned out some activities and we hit the ground running. I have decided to split our weekend together into a series, Day and Night. Part I, what you are currently reading, will feature our daytime activities and Part II will feature our nighttime fun-times. Saturday morning started with dirty chai lattes at my new favorite coffee shop, Northside Social. I am the newest passenger on the coffee train and that's only because my life is no longer fueled by sleep. We took a brisk walk and got ready to grab the train to MetroCenter to visit the Newseum. I took very few photos at the museum because I wanted to take it all in. 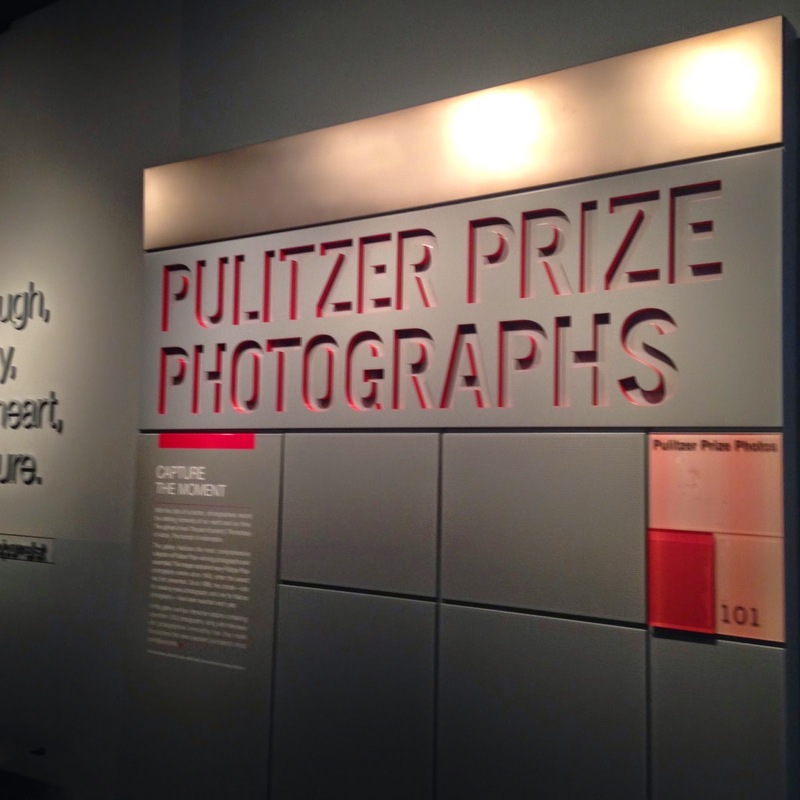 There is a wonderful Pulitzer Prize exhibit that you should check out if you are ever in the area. After some culture, it was time for a walk to a ramen shop I've been eyeing. It's just around the corner from the Verizon Center, it's a few floors with the ramen on the bottom. DAIKAYA serves authentic Japanese ramen in a fun community style setting. We all went for the Shoyu with a few different add-ons-- bamboo shoots for me, extra veg for SKD, and roasted pork for AF. It is definitely a spot you shouldn't miss on your next trip to DC. How cool is the exterior? After stuffing ourselves to the brim, we went for a walk through Chinatown before heading back to Clarendon for a nap before out big night out. On our way to Sunday Brunch we grabbed our lattes and headed to The Green Pig. This bistro is a hidden gem nestled in the homes of Clarendon. There is a French-American vibe with cookbook pages on the walls and eclectic pots on shelves. They serve dinner and brunch and feature a a daily "Plats du Jour." I'm going back for lasagna, who's in? We went for the American Breakfast--sans the eggs for me. Look at that thick cut, freshly baked, double buttered cinnamon raisin bread. Are you drooling? I am. Just what the doctor ordered for a goodbye feast. Tune back in tomorrow to find out what we got into Saturday night. niceeeee. that breakfast looks like the perferct portion size! Literally the same thought that went through my head! Girl, your writing style is tops!